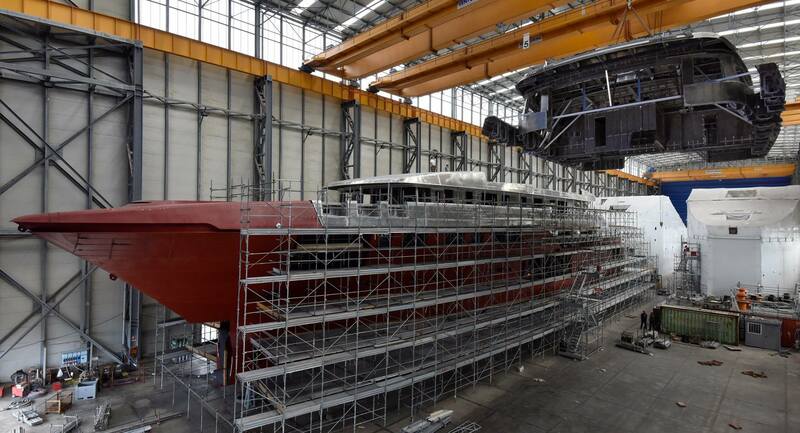 La Spezia based Italian superyacht builder Sanlorenzo has officially announced the joining of hull and superstructure on its new 64m flagship superyacht. This stunning flagship is being built at Sanlorenzo’s superyacht facility in La Spezia. This new facility is dedicated to the construction of metal-hulled superyachts from 40 to 80 meters in length. The 64m steel superyacht was sold in June 2016 and recently relocated to the Sanlorenzo superyacht facilities in La Spezia. The sleek exterior lines have been designed by Officina Italiana Design and the interior designed has not yet been revealed. 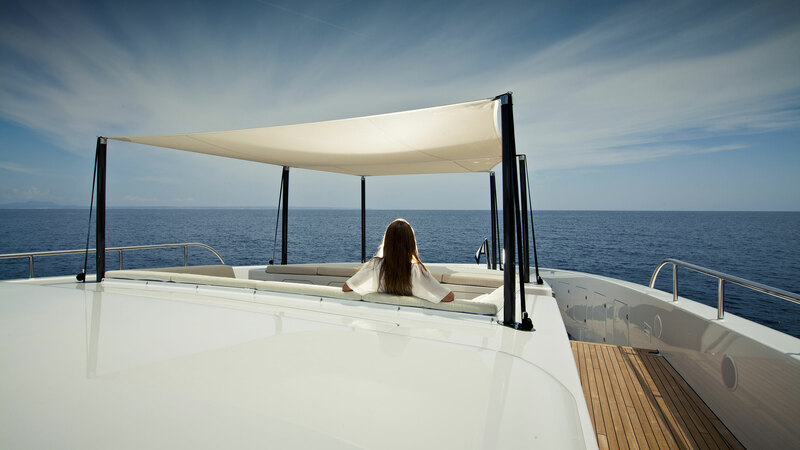 Sanlorenzo has revealed that the interior volume will total 1,500 gross tons with accommodations for 12 guests. There are additional accommodations for a crew of up to 18 across 9 cabins. This beautiful superyacht is powered by twin CAT engines and its full-displacement hull is capable of a 17 knot top speed. She is due for completion in 2019, stay tuned for more build updates about this beautiful yacht as they are released.